The railway was so innovative that early Victorian England struggled to find words to describe it. Contemporaries called it rail-way, rail-road and permanent way. It was the track of the new transport that made the difference and the people who made the track were some of the most important engineers of all. This is the story of one man, Thomas Edward Milles Marsh, who built parts of the Great Western Railway line and was the father-in-law of Amy Robertson, granddaughter of Martha Shaw, well-known Middlehill resident, and the two-times great grandfather of the author of this article, Madeleine Symes. Thomas' importance in the story of the railways has been under-recorded by history. He was an assistant to Isambard Kingdom Brunel in the construction of the Great Western Railway, being principally employed to supervise the section of track between Bath and Bristol and also the line through Box Tunnel. Marc Brunel, in the construction of the Rotherhithe Tunnel under the River Thames and the London tunnel proved to be the training ground for many of Isambard's ideas and his engineering contacts. One of these was Sir John Hawkshaw who designed the East London railway operating through the tunnel and was also a leading advocate of the possibility of steeper gradient tracks than the accepted norm of the time. His thoughts would have been important to Isambard in the construction of Box Tunnel. Thomas Edward Milles Marsh was a close associate of both Brunel and Sir John Hawkshaw. The variety of Thomas' work is remarkable. He worked briefly on a survey for the Caledonian Railway and in 1844 he became Chief Engineer of the Monmouthshire Canal Navigation Co when it was changing its name to the Monmouthshire Railway & Canal Co. He oversaw the reconstruction of the former tramroad between Pontypool and Blaenavon. When this was abandoned in 1846 he returned to work for Brunel as chief assistant, was appointed Resident Engineer on the Wilts, Somerset and Weymouth Railway by Isambard Brunel and a year later became Brunel's chief assistant for all permanent-way work and controller of materials used on all Brunel's railway undertakings. After Brunel's death in 1859 he set up a consultancy in Bristol. Permanent way work was inspected on a number of lines, the Canadian Grand Trunk Railway, connecting Toronto and Montreal, and routes in South America, India and Mauritius for Sir John Hawkshaw, and they collaborated in the construction of railways in Australia and the Northern Railway of Buenos Aires. In later years he advised on various other engineering works in the United Kingdom. Between 1860 and 1863 he acted as Chief Engineer to the Sittingbourne and Sheerness Railway and the Queenborough Pier for steam ships to access Sheerness. When the Midland Railways constructed their branch to Bath, he was engaged by the Bath Gas Company to make the bridge over the Avon and the connecting line into the works. In 1883 he had an office at Hawthorn House, Walcot Terrace, Bath. Thomas came from a privileged background. He was the fifth child of Major Henry Marsh and Sarah Matilda Godfrey, whose maternal family came from Norfolk. They had eleven children, of whom Thomas and seven siblings were born in Biddestone, Wiltshire. The middle name of Milles came from Thomas’ great grandmother’s family name. She was Rebecca Milles, daughter of Rev Jeremiah Milles of Duloe, Cornwall, and she married William Blake of Bristol. It was a reminder of the Marsh's Cornish ancestors even though Major Henry and Sarah lived at 39 Grosvenor Place, Bath for 30 years. Thomas’ brothers chose different careers to his. His eldest brother, Captain Henry Godfrey Marsh JP, was with the 1st Somerset Militia and lived at Winterbourne Park, Gloucestershire. William Augustus Marsh was a barrister; Augustus John Marsh a surgeon. Rev Charles Earle Marsh was Rector of Salle, Norfolk for 55 years and Rev Theodore Henry Marsh was Rector of Cawston, Norfolk for 50 years. Major Edward Herman Marsh of the 34th Foot was another military man who was posted to the Crimea and Cawnpore in India; and Captain Octavius John Blake Marsh, served with 65th Foot in New Zealand, where he later died and his descendants still live. Thomas’ sisters were Sarah Mary Marsh who married William Thomas Knapp; Augusta Louisa Susan Marsh who married Charles Harward of Hayne House, Devon and later Joseph George Barnard; and Caroline Matilda Marsh, unmarried, who lived at Grosvenor Place. An interesting sideline to Thomas’ early career as a nineteen year-old trainee was recording the Orpheus mosaic at the Roman villa at Newton St Loe, Somerset, as described below. Thomas was apprenticed to George E Frere, Resident Engineer to Isambard Kingdom Brunel on the western division of the Great Western Railway. He was principally concerned with the section of line between Bath and Bristol though he also assisted in the line through Box Tunnel. Whilst working as an assistant engineer under Frere he was in charge of the section between Twerton Tunnel and Cross Toll Gate Bridge when the remains of a Roman villa at Newton St Loe were revealed in 1837. The Roman villa at Newton St. Loe was discovered during the construction of the Bristol to Bath section of Brunel’s Great Western Railway in 1837. 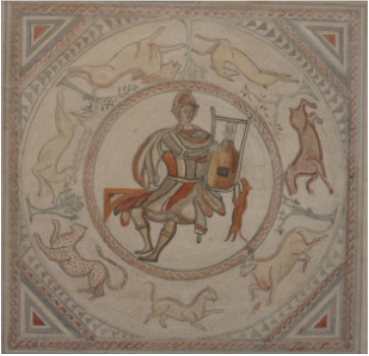 Several mosaic floors were found at the villa including one which illustrated the story of Orpheus, a mythical poet and musician, charming a circle of wild animals. The 16 sq foot mosaic was lifted and re-laid at Keynsham Railway Station where it remained until 1851 when it was given to the Bristol Institution (a forerunner of Bristol Museum and Art Gallery). Repeated moves between various stores over the next 150 years left the floor highly fragmented and at one time it was even thought to have been lost. Brunel had wanted to create a museum for all the material found during the construction of the Great Western Railway. This led to a trainee civil engineer, Thomas Edward Milles Marsh (1818-1907) being given the task of recording the villa before its destruction. 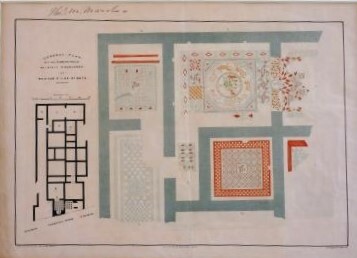 He prepared accurate plans including a life size tracing of the Orpheus mosaic and was responsible for lifting this floor and another for display. Although not involved in further archaeological work, Thomas retained his records and these were eventually donated to Bristol Museum by his daughter, Flora, in 1936. These proved very useful in the 1930s when the curator of archaeology attempted to reconstruct the mosaic. When Thomas transferred the mosaic to Keynsham it was in good condition. However evidence suggests that when it was moved again it may have been lifted with a pick-axe. Further breaks then occurred because of poor packaging and moves between stores, as well as frost and fire-damage. This led to the floor being broken into several thousand pieces and presents a major challenge in terms of its reconstruction, conservation and storage. A full-scale reconstruction of the floor was discounted for many years because of its poor condition. In 1992 members of the Association for the Study and Preservation of Roman Mosaics (ASPROM) began the painstaking job of identifying its fragments. It was finally pieced together, in public, in the front hall of the museum between July and December, 2000. The reconstruction enabled improvements to its storage to make it more easily accessible for conservation, research and display. In 2013 it was exhibited at Bristol Museum and Art Gallery, going in 2015 to the British Museum’s exhibition "Roman Empire: Power and People". Thomas married Harriet Robertson in 1845 in Bath, youngest daughter of Dr William and Ann Robertson of Bath. They had seven children. He lived in Grosvenor Place for nearly 50 years, from 1858-1868 at no.37, and from 1868 at no.34, and he owned the fields bordering the river at the rear of Grosvenor. He was very family oriented, and hosted his granddaughter’s wedding reception at no.34 Grosvenor Place on 7 November 1901. Irene Goldwyre married the Rev Edwin George Evans Richardson, vicar of Baglan, South Wales at St Saviour’s church, Bath. In the heading photograph of this article, Thomas is sitting on the chair, with son William and Amy Marsh behind him. 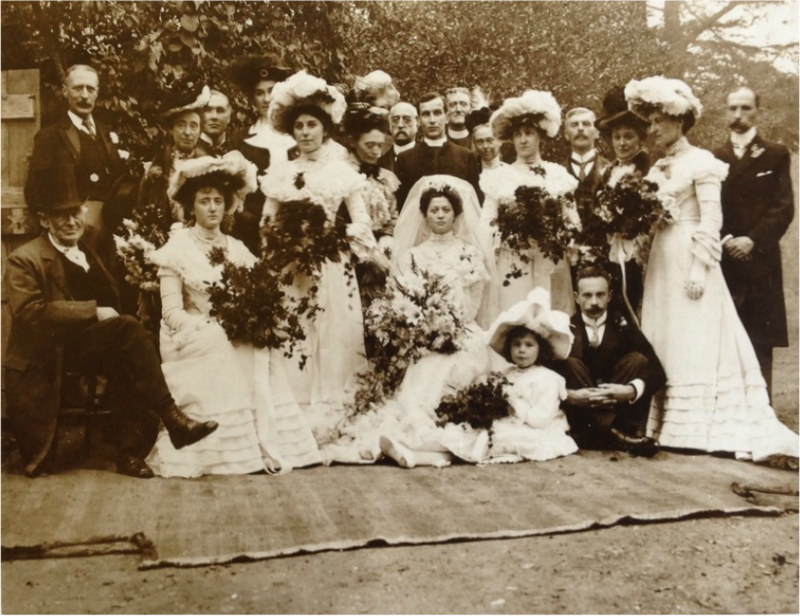 Their daughter, Violet Amy Marsh (my grandmother), is second bridesmaid on the left. Later in life, Thomas took no part in the public affairs of Bath, though in 1887, when Major Brickmann was created an Alderman (who erected two cattle troughs in Bath), Thomas endeavoured to retain the seat in Walcot for the Conservatives but was defeated by John Ricketts. He was a Freemason, being a Past Master of the Lansdowne Lodge, Wilts, and he had a lifelong interest in archaeology. Thomas and Harriet lived in some degree of affluence. They also had a house at 7 South Hayes, Bath, which was broken into in 1857 and Thomas gave evidence saying I occupy two houses. A property dispute with a neighbour in 1877 over a ditch at the Grosvenor Place property refers to Thomas being accompanied by his servant man. His two sons both became engineers. Thomas Robertson Marsh CMG received his CMG in 1901 New Year Honours on his retirement as Head of the Engineering and Contract Branches of the Office for the Crown Agents for the Colonies. William Sutcliffe Marsh was a civil engineer to the Rhondda and Swansea Bay Railway and designed Mumbles Pier, Swansea Bay. This was built for the Mumbles Railway & Pier Company as the terminus of the line from Swansea. It is one of only six surviving iron piers in Wales, and is Grade II listed. William married Amy Robertson (no connection to Harriet) and they also lived in Bath. Amy Robertson was the granddaughter of Martha Shaw who lived in Box in 1850. Of Thomas’ daughters, Harriet Louisa Marsh married John E Goldwyre, civil engineer; Flora Caroline Marsh, unmarried, lived at no. 34; Annie Margaret Marsh died aged 6; Alice Sarah Marsh married Rev Thomas Filmer Bennett; and Georgina Mary Marsh married Sir William Edward Douglas Crosbie, Bart. Harriet Marsh died in 1869 aged 52 and Thomas was a widower for 38 years until he died at 34 Grosvenor Place in 1907 aged 89. In 1883 he had an office at Hawthorn House, Walcot Terrace, Bath. When he died, he was the oldest member of the Institution of Civil Engineers, having become a member in 1862. They lived at Biddestone and later at 39 Grosvenor Place, Bath. Dr William and Ann Robertson of Bath. They lived in 34 Grosvenor Place, Bath, from 1868 to 1907. Georgina Mary Marsh (1856-1931) married Sir William Edward Douglas Crosbie, Bart.